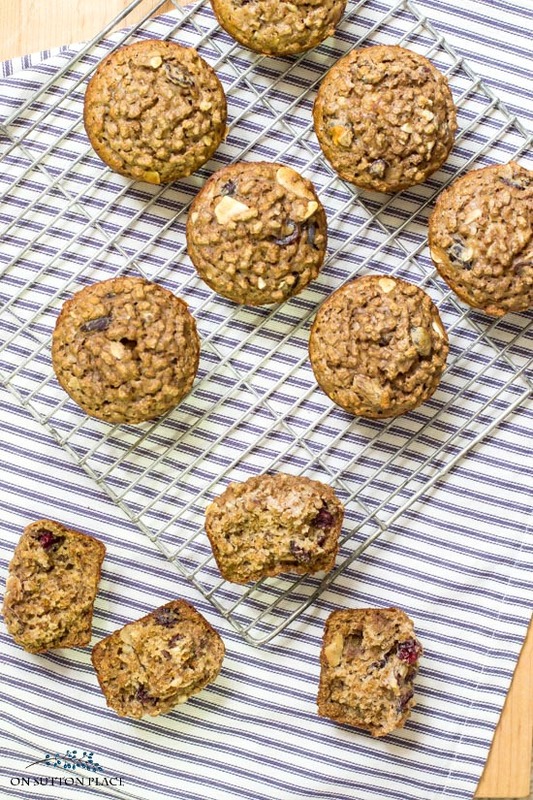 Make this healthy bran muffin recipe with Kellogg’s All-Bran cereal. These easy bran muffins make a great choice for breakfast or for a snack! This healthy bran muffin recipe ended up being quite a pleasant surprise…because at first I really had my doubts! I promised to find some nutritious, low-calorie recipes for you…but the honest truth is that it’s been a challenge. My brain just doesn’t wrap around a muffin with no butter or oil! 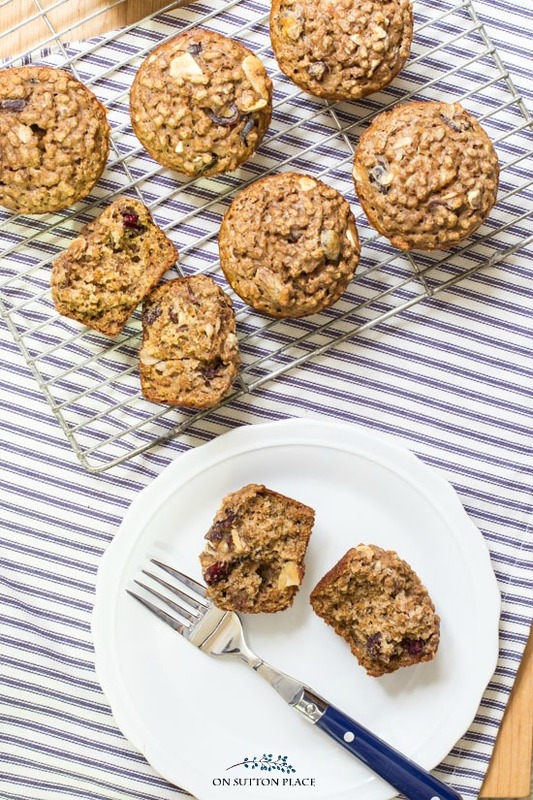 Seriously, these easy all-bran muffins are hearty and filling. They are not overly sweet, but the texture really makes up for that. I used pomegranate Craisins instead of raisins and that helps to add a burst of extra sweetness to these bran muffins. Kellogg’s All-Bran cereal comes in these little buds and they work great in recipes. The batter isn’t thick, so it’s very easy to pour into the muffin cups. I had enough batter to fill the cups almost to the rim. I’m not sure what it would do to the calorie count, but I’m pretty sure you could substitute oatmeal for the all-bran, as well as whole wheat flour for the white flour. 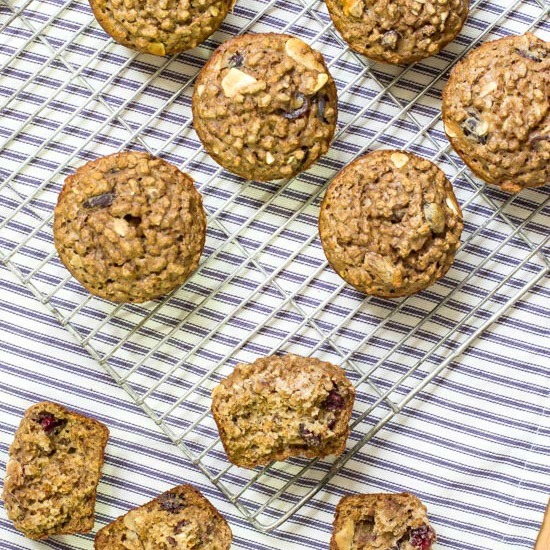 This is a great healthy bran muffin recipe to use as a base, and add ingredients that you have on hand or that you know your family likes. 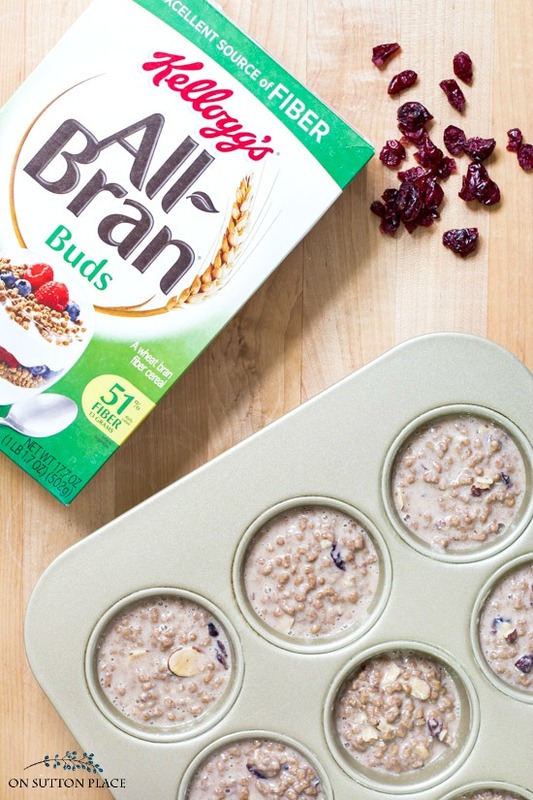 Make this healthy bran muffin recipe with Kellogg's All-Bran cereal. These easy bran muffins make a great choice for breakfast or for a snack! Combine all bran cereal and milk. Let sit for 5 minutes. Add brown sugar, egg whites, vanilla and applesauce. Combine well. Add flour, baking soda, cinnamon, salt. Mix all together. Bake for 15 - 17 minutes. Optional additions: 1 ripe banana or zest of a lemon. 1/2 cup shredded carrots. This recipe makes 12 regular sized muffins. *Affiliate links included. My disclosure statement can be found HERE. It felt very good to be in my kitchen with these bran muffins baking in the oven. Like many times before, I read your comments on my last post through tears. Many of you have been in my shoes and I can’t tell you how comforting it is to know that I’m not alone. Even though things around here are sometimes out of sorts, I have pieces of days that feel normal. Those pieces are because of this blog and all of you. My heart is filled with gratitude. Ann… these muffins are similar to my gramma’s recipe and brings back lots of memories. Without the raisins and almonds, they are only 3 Weight Watchers points! If you add carrots or apples, no extra points! Bonus! Love that…and can’t wait to make them. Thank you! Thank you so much for this recipe. I have only just found you and it would appear you have just experienced some very rotten luck. I am so sorry but I thank you a thousand times for the recipe I have been looking for this one for ages! Ann, I love your blog, but I wanted to let you know that the Easy Bran Muffins are not 1 point on weight watchers. I have been making them a few months now for my husband and we both love them. I recently joined weight watchers, again, on smart points this time, so of course I had to check to make sure the points were correct. To my dismay, the muffin is 5 smart points. Just wanted you to know! How do you know the muffins are 5 points? Hello! The other reader, Vanita, said she checked the points. Things have changed again though with the new Freestyle program. To make things easier, I’ve just removed the points value from the recipe. Thank you! I’m just seeing this comment because someone emailed me with a question…thank you for letting me know. I recently got reacquainted with smart points when I downloaded the WW app on my phone. Now that they’ve gone to Freestyle, it’s not as easy for me. Anyway, thank you again! Thanks for the muffin recipe,i love muffins to eat in the mornings and these sound wonderful, thanks Ann. I LOVE EVERYTHING you post, and the best thing I’ve done with Pinterest is subscribe to your sight! 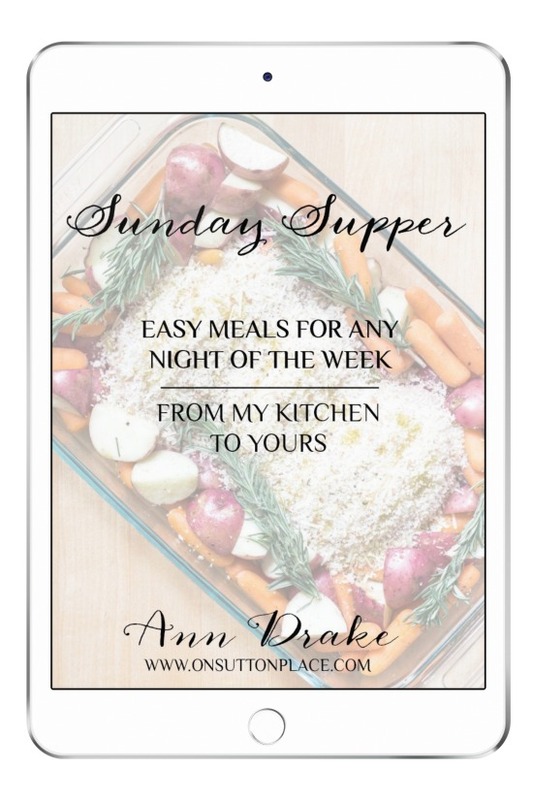 Thank you for your beautiful suggestions, your wonderful healthy recipes, (as well as not so healthy, but oh so delicious recipes! ), and simply sharing yourself with all us who follow you! Thanks for the receips , They look good. Any nutritional information at all? With high cholesterol, this is just what the doctor ordered, thanks I will definitely be trying these! These look delicious! I love muffins for breakfast with my coffee. I will be making these! Thanks! Love your blog!